If you hav​​e ​any comments or concerns please feel free to contact us! Members are encouraged to participate! 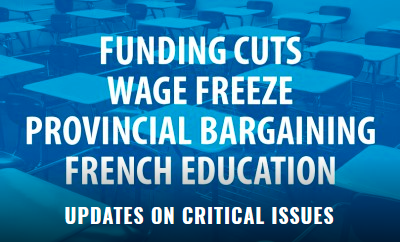 The Manitoba Teachers’ Society is reviewing provincial legislation that would impose a wage freeze on public school teachers when contracts come up for renegotiation next year. Today the Progressive Conservative government introduced Bill 28, The Public Services Sustainability Act. 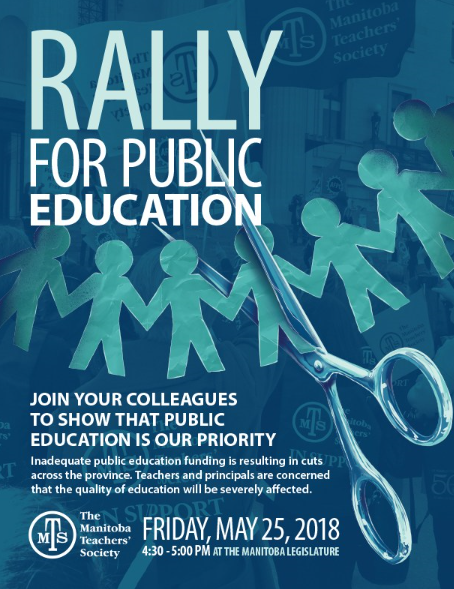 The Manitoba Teachers’ Society is extremely disappointed to see the government introduce heavy-handed legislation that would bypass the bargaining table and impose 4 years of wage freezes and wage caps for public sector workers – including teachers – well below the cost of living. This will apply to the thousands of public sector workers, many who already have shown their willingness to be part of the solution, by agreeing – at the bargaining table – to two years of frozen wages. We know that bargaining is the proven way to find solutions that work for both employers and workers. We’d much rather try to work things out together, by talking and negotiating at the bargaining table. We have a strong and long history of bargaining fair negotiated settlements with our respective employer groups and this transgression that disrupts this well-established and successful process is shameful. Bill 28 is further evidence that this government is fixated on balancing the budget at the expense of the public services so many families count on and the people who provide them. This appalling legislation follows on the government’s uninformed dismantling of the cap on K-3 classroom size which was providing better learning outcomes for our schools and students. The K-3 Smaller Class Size Initiative resulted in the hiring of 454 new teachers, so its dismantling means that fewer teachers will be working on the front lines in Manitoba classrooms. We are reviewing this legislation closely and we will provide you with information as it is received. 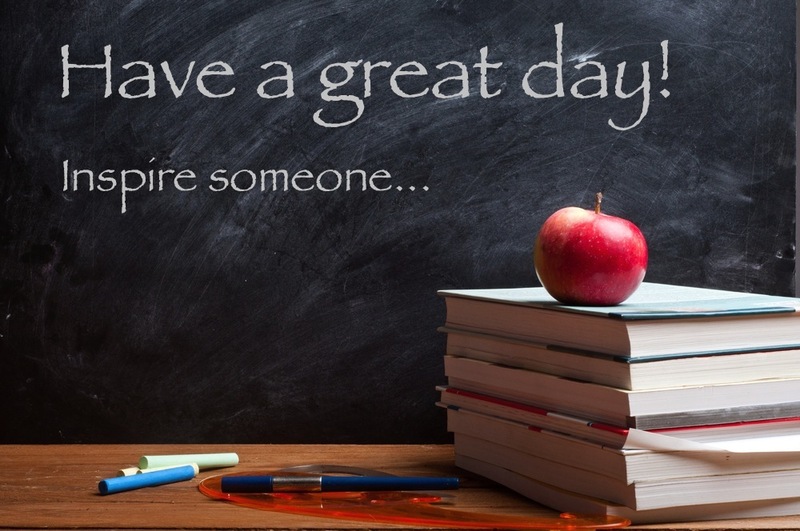 Have a great first day back with your students! Your hard work and dedication is of immeasurable value! 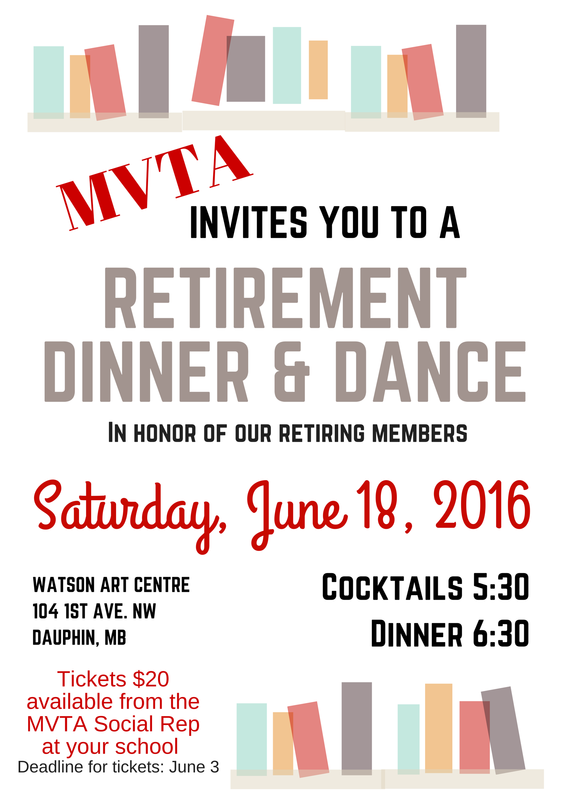 MVTA Retirement Event - Come on out and Celebrate! 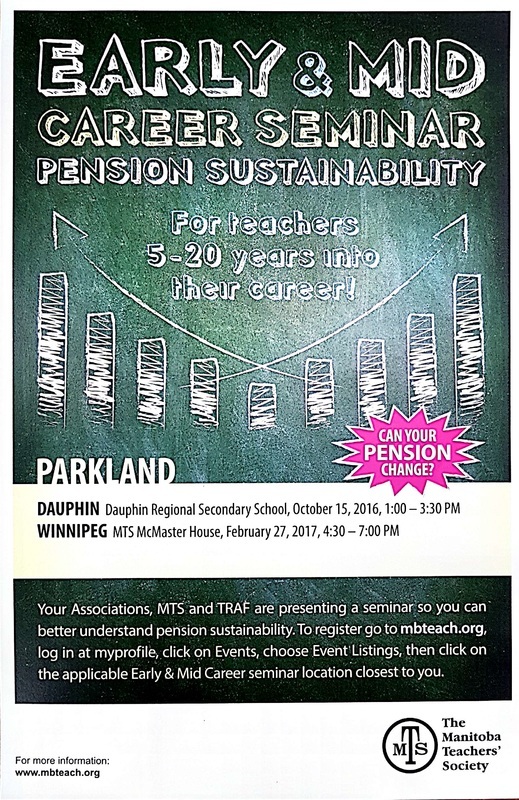 the legislature called The Manitoba Teachers’ Society Act. case with all legislation, can be a tedious process. constitution (The Act) so that we can make these changes, but these requests did not succeed. to Manitoba’s current educational climate. confusion that were difficult to reconcile given the antiquated language in our constitution. our constitution so we are able to evolve at the same pace as the education profession. Ultimately it enables us to grow so that we will be stronger tomorrow than we are today. get full credit for seniority and salary. increments—just as they would had they not chosen to have a family. greater career earnings and more years of service than their female counterparts. Much of this inequity can be attributed to women staying home with their newborns. Today’s announcement will help to correct this. consult with the Society on an issue that’s so important to teachers and their families. For some of us it may have been some time since we first signed our teacher general contracts and for some of our colleagues just entering the teaching profession it may have been just months ago. In either case, we must be aware that the employment contract we signed with our employer brings with it certain rights and obligations. The obligation I am going to highlight today relates to our obligation to serve notice of contract termination in an appropriate manner. -By mutual consent of the teacher and the employing board, at any time. -November 30th for December 31st termination. -By one month's written notice by either party in the case of an emergency affecting the welfare of the division or the teacher, provided that the school board may, in lieu of one month’s notice, as aforesaid, pay the teacher one month’s salary. It is important to note that your contract is a legally binding document and that you must abide by the terms and conditions of the contract in good faith. Clauses in the contract must be used appropriately in order to protect both your personal and legal interests. -Always ensure that you have addressed the requirements of your current contract prior to making a commitment, verbal or written, to a contract with another employer. -Always consult with your local association president or an MTS Staff Officer in order to ensure that you are adequately informed about all options possible so you can make the best choice for your given situation. Whatever the reason for seeking contract termination remember to take the time to educate yourself regarding your contractual obligations and discuss your options with your local association president or an MTS Staff Officer. Taking informed actions will assist in ensuring the best possible outcome for your particular situation. MVTA will be hosting a maternity and parental leave information session March 11th, 2019 in Dauphin at the DRCSS @ 5:30 PM. Arlyn Filewich, MTS Staff Officer, will be presenting information you will need to consider when planning and accessing these leaves! From time to time we will be posting information here that may be of interest to our membership.